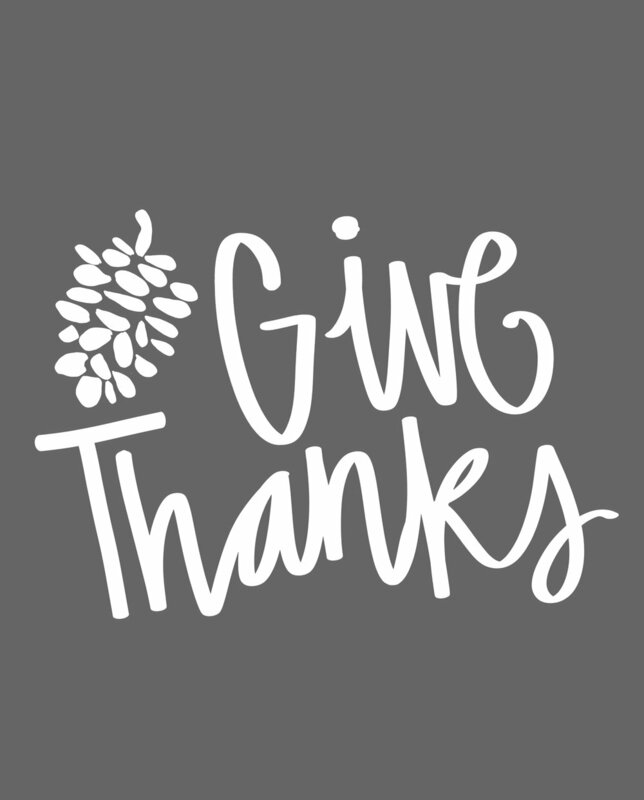 Happy Thanksgiving + Free Printable — When it Rains Paper Co. | Colorful and fun paper goods, office supplies, and personalized gifts. Happy Thanksgiving friends! We have so much to be thankful for this year and that includes you. We are constantly overwhelmed with the love and support that our friends, family, and customers show to When it Rains Paper Co. Kat and I truly enjoy what we do and it's only made possible by your support. It's not much but we wanted to give back in a small way to all of you. We designed this Thanksgiving print for our mom's kitchen last year and wanted to share! She went with a simple black and white theme but we've got 6 different color schemes you can choose from. Simply click on the color you want to download the PDF. You can use as your desktop wallpaper, print and frame, change to your iPhone background - whatever your heart desires! Happy Thanksgiving from our home to yours! We hope you all have a wonderful weekend and enjoy some much needed rest and time with your loved ones. It's officially the most wonderful time of year!